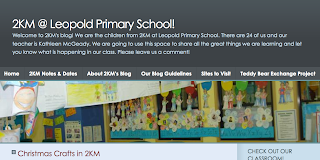 Best Class Blog • First Runner-Up! A big THANK YOU to everyone who voted for us! The winners of the Edublog Awards - 2009! Christmas is here, Smiles all around All is so bright, All is so bright! Santa will come, To see our town, Into the night, Into the night! Christmas is here, Gifts all around, All is a=light, All is a-light! Santa will come, To see our town, Into the night, Into the night! 4 GB Flash Drive Gift! Last Tuesday, several teachers and administrators visited Mrs. Yollis' class to observe the steps the class takes to prepare and publish a post. 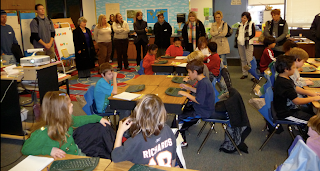 The teachers were also interested in learning how to teach commenting skills to students. Two days later, Mrs. Schillinger, the district's Assistant Superintendent of Instruction, came back to the class to personally thank the students for their blogging help. How are you going to use your flash drive? Who knows what a GB is? 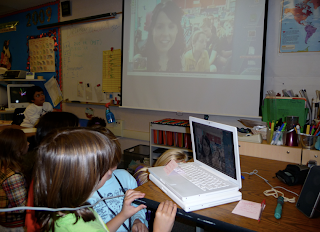 Today Mrs. Yollis' class MET their blogging buddies in Australia! However, the word today meant two different things. Tuesday, December 15, and the clock read 2:00 P.M.
Wednesday, December 16, and the clock read 9:00 A.M.
Today in Mrs. Yollis' class, it is almost Winter Break! Today in 2KM's class, it is almost Summer Vacation! 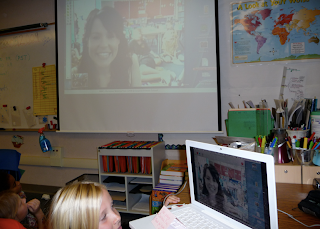 Students enjoyed meeting and sharing with Miss McGeady and their blogging buddies. We noticed the our two classes had a lot of similarities and a few differences. One difference: Australia uses the metric system and the U.S. uses customary units. Here is a converter to compare the two systems. 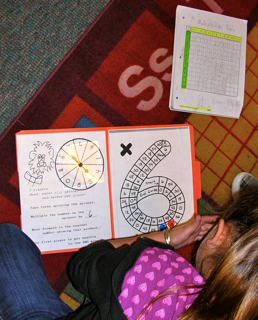 Now that all of Mrs. Yollis' students understand the concept of mutiplication, it is time to memorize the facts! 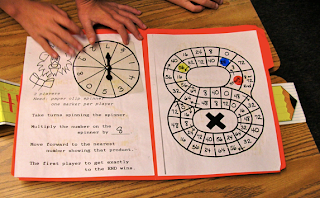 Games were played in class to help with the memorization. 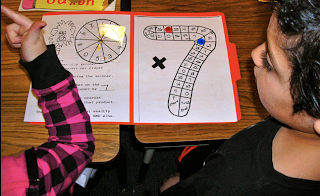 In addition, students play games at home on Mrs. Yollis' website. Have you mastered the facts? Do you have any tricks to help with memorization? 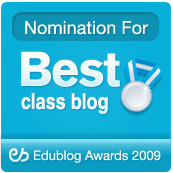 We Have an Edublog Nomination! 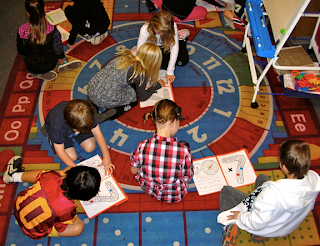 Mrs. Yollis' class works together to document interesting stories about what we are learning. In addition, we have made fabulous classroom connections throughout the world. Our hard work has paid off! There are 38 outstanding nominees. Click Here to vote from your home computer or iPhone! Mrs. Yollis' students are not only students, they are also teachers! Today several teachers from the district visited our classroom to learn about how we integrate technology in our learning. 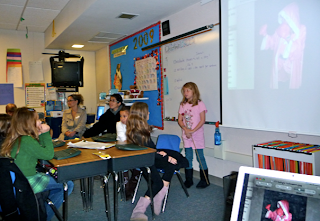 Mrs. Yollis' class worked toward finishing a future post that uses student-created images and high-level writing. their images for the post. Why did you pose this way in your image? What story are you trying to tell with your image? What makes your image a good one for the Internet? Above, students typed their text on their wireless computers and then peer-edited. In Mrs. Yollis' class, everyone strives for high-level vocabulary words to insert in their paragraphs. How did it feel to be a teacher? What do you think your students will do with your information? Mrs. Yollis is not only a teacher, she is also a student. This weekend, she attended the CLMS K-12 Technology Conference in San Diego. 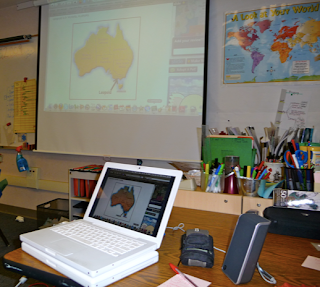 There, she acted as a teacher by presenting a class on integrating technology in the classroom. She also had the privilege of being a student and attended many fascinating classes about technology in education. 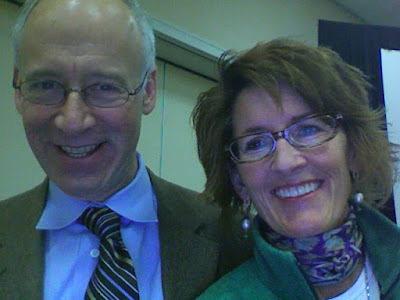 Her favorite part of the weekend was listening to keynote speaker, Alan November. Mrs. Yollis took a picture with him using her laptop camera! Students should know how to do good research on the web. 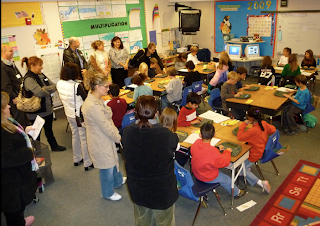 The classroom should be a global communication center. What do you think of his ideas about education? Enjoy the photos from our Chumash Interpretive Center field trip. The captions on each slide were composed by the students! Below are the mule deer we spotted while walking the trail through the oak woodlands. Below is a recording of a Chumash song! What was the most interesting fact that you learn about at the Chumash Museum? 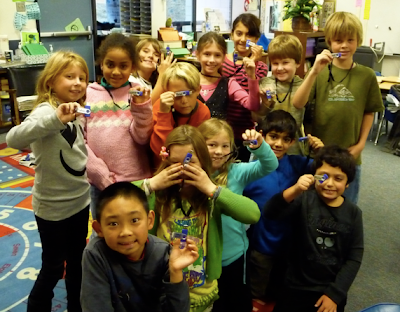 If you were a Chumash Indian, what do you think would be the most challenging activity and why?